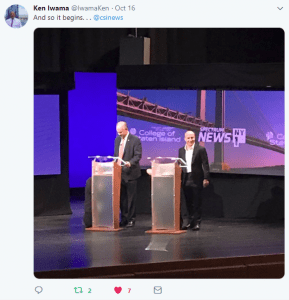 Dan Donovan, left, and Max Rose met for a debate at the College of Staten Island Oct. 16. 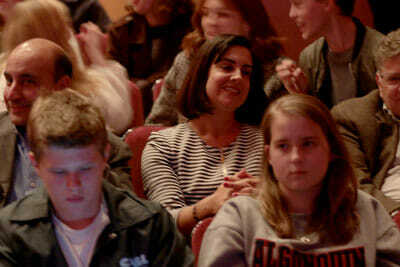 More than 400 people filled the Center for the Arts Williamson Theatre to capacity Oct. 16 to watch candidates for New York’s 11th congressional district debate in the run-up to midterm elections on Nov. 6. 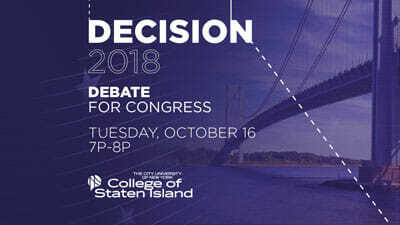 The College of Staten Island hosted the debate, which was co-sponsored and aired live by NY1. NY1 Political Anchor Errol Louis moderated and NY1 Political Reporter Courtney Gross and Senior Opinion Writer for the Staten Island Advance, Tom Wrobleski, served as panelists. 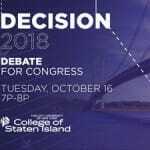 Staten Island residents (and doubtless others from elsewhere) crowded into the Williamson Theatre for the New York State 11th congressional district candidates' debate. also included elected representatives from both sides of the aisle, including State Assembly Member Nicole Malliotakis and New York City Council Member Debi Rose. Beyond a few heated attack lines, however, the debate also reflected that each candidate respected the other. Asked to cite a quality he admired in his opponent, each responded sincerely. Donovan thanked Rose for his military service, while Rose said he admired Donovan for being a dedicated father. 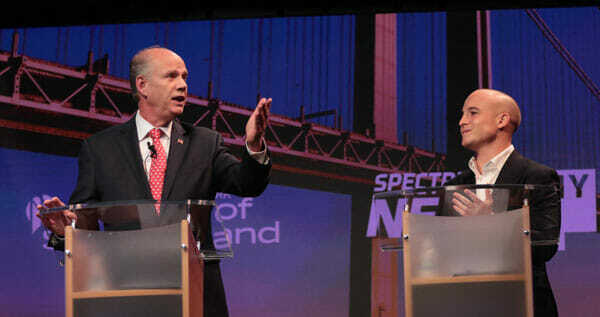 The full debate, broadcast live by Spectrum News NY1, can be seen online.